• The venue contact details – of course, you’ll need that. Name, address, email, phone numbers, website – the more information, the better! • Date, time, place – you may have envisioned your perfect wedding on this particular venue, but it turns out it’s not available for your wedding day… It turns out that the venue accepts multiple weddings and yours is just one of the 3 weddings that will take place there… at the same time! Don’t let such details ruin your big day by asking as many questions as possible. • Room – be specific when asking about the venue’s facilities. You want to know what exactly is included and what’s not. • Costs – the more you know about the costs, the better. It’s best if you have it in writing as well, so that you’re not surprised by an additional cost that’s thrown at you just because you haven’t specifically asked about it beforehand. 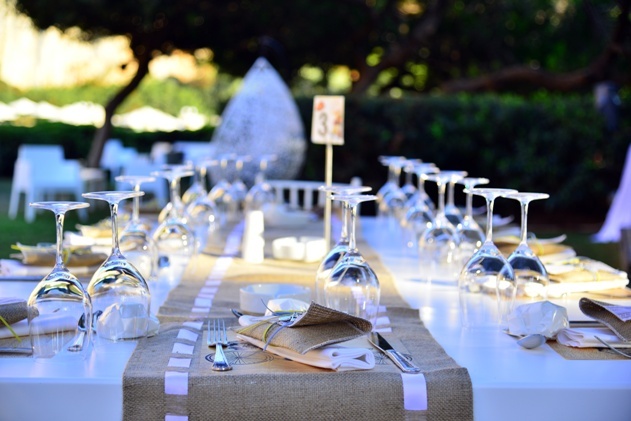 • Food and drinks – what are the catering options? Are there any alcohol restrictions? Again, as a rule of thumb, the more questions you ask, the better informed you’ll be. • Parking – this one may seem a bit off the main topic, but it’s really important and often overlooked. The number of car parking spaces, the cost, and the availability of parking attendants are all details that may ruin the perfect wedding scenario for you. • Restrictions – anything you can think of applies here. It’s best if you just tell the whole story of your wedding plan to the person in charge so that you are sure you haven’t missed anything and they’ll tell you if there are any restrictions in regard of the details you provided. You don’t have to check a hundred boxes to make sure the venue you’ve chosen is the right for you. After you cover these main topics, it’s really a matter of a few notes, a few leaflets and the good will of the person in charge to make sure your wedding day is as perfect as you have envisioned it in your dreams. Just keep reminding yourself that you can’t control everything and let the venue professionals do their part of the job – after all, they do it (almost) every day!